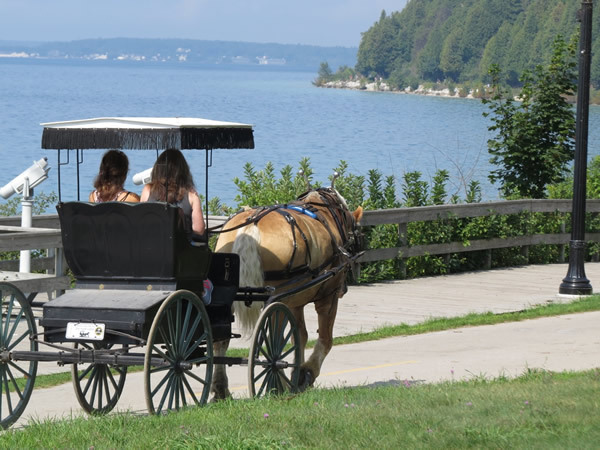 Before assigning you a horse and buggy we will ask you to fill out a short driving questionnaire to assess your driving experience, if you have any. Please be honest in answering the questions. 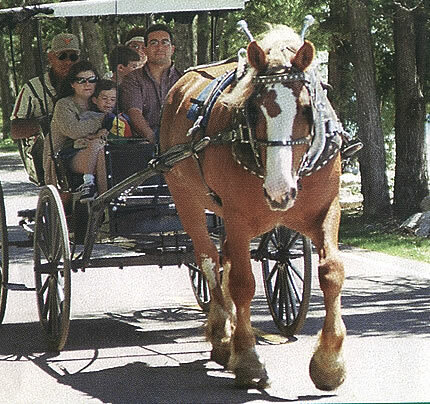 We will take reservations only the day before you wish to rent a carriage. Stop in anytime for same-day rentals! No reservation required. 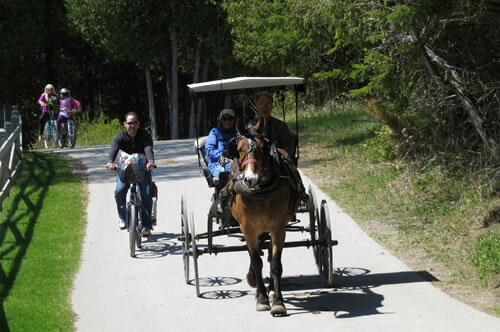 Keep the horse and buggy at a walk when going uphill and downhill. The horse is to be driven only by the designated driver. Trot or walk, but never gallop the horse. 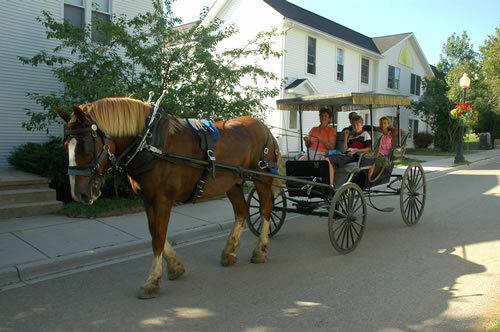 Rest the horse by walking it between periods of trotting. Do not tie the horse or leave the horse unattended at any time. 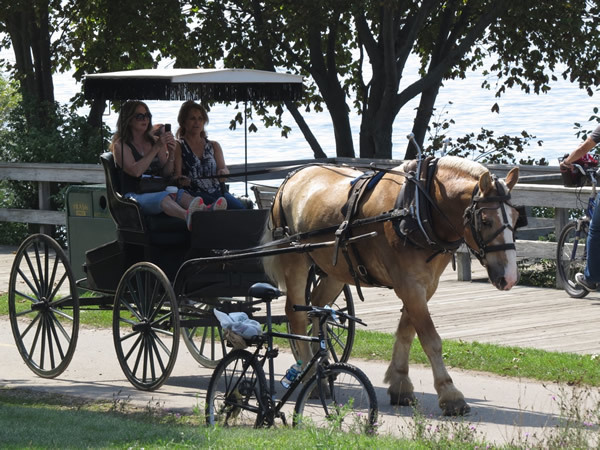 If driving along Lake Shore Drive, don't stop the horse until British Landing. If a stop is made, have an adult hold the horse by the bridle. All passengers remain seated while buggy is in motion. Parents are asked to hold on to their small children to keep them from falling out of the buggy. Stay out of the downtown area. These rules are provided for your safety and driving pleasure. 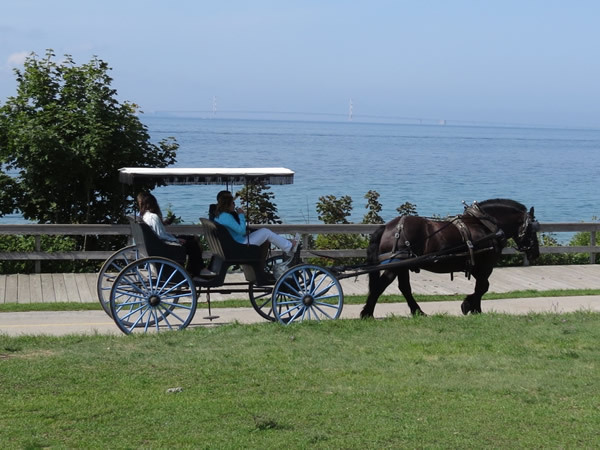 Treat your horse humanely, drive defensively, and enjoy your tour of Mackinac Island. Hold one line in each hand. To get the horse to go ahead say "Giddy up" and slap the horse on the rump with the lines. To turn to the right, pull on the right line. To turn to the left, pull on the left line. to stop the horse, pull back on both lines and say "Whoa." When the horse has stopped, loosen up on the lines. While traveling down the road hold the lines with an easy tension. When the horse is stopped, don't keep pulling back on the lines because that will cause him to back up. 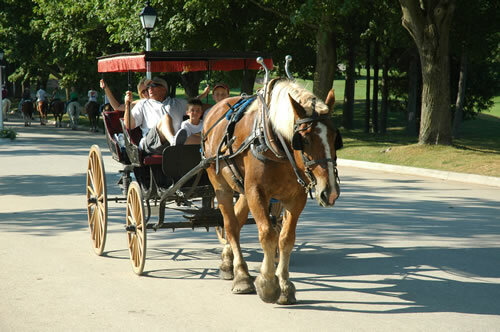 Driving horses are trained to back up when you pull on the lines from a stop. 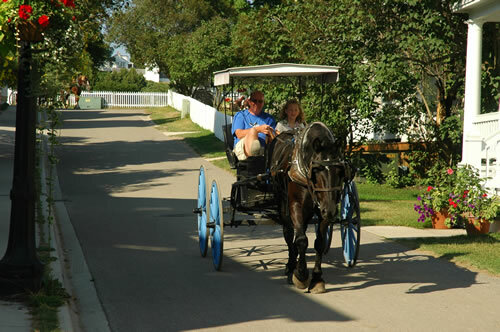 Visit Gough Carriages for your wedding carriage!